As the temperatures increase, so do the number of pests that visit your house. Flies, mosquitoes, and mice can get inside your house as unwelcome visitors. These pests can be stubborn and refuse to leave your home. An all out war could break out! You don’t want to use harsh chemicals around your family to get rid of the pests. What do you do? Use natural alternatives to harsh chemicals. Here are 6 natural ways to keep pests away from your home. During the summer, flies are abundant! It seems like there is a constant buzzing sound in the house from flies trapped inside. Basil keeps flies from coming into your house. Place basil plants at doorways and windows to keep the flies at bay. If you don’t want to worry about keeping the plants alive, just use dried basil. Put the basil in a small pouch and it’ll get the job done. Spiders are creepy, crawly, and should stay outside. For whatever reason, spiders do not like citrus scents. Use lemon or lime juice and put it in a spray bottle with water. Spray this by your windows and doors and watch the spiders run away. You can spray this mixture in your kitchen or bathroom, and it’s safe to use around children. As an added bonus, it leaves a scent that humans find refreshing. The same process you used to get rid of spiders can be used for ants. Instead of citrus juice use vinegar. 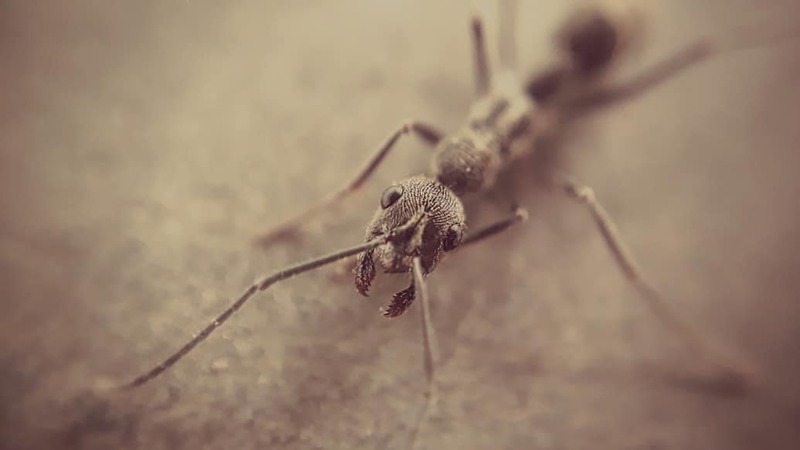 Ants use their noses to follow trails to food, vinegar destroys these trails. Spray the vinegar mixture in your kitchen to prevent ants from coming in. It can also get rid of ants that are already present in the kitchen. Ants are always looking for food and that’s their motivation for everything. If you destroy their path to food, they’ll go looking somewhere else. Mice can get into even the smallest of spaces. They can crawl into the back of ovens looking for food, or into drawers. Use mint essential oil to keep the mice away. You can put a couple of drops on a cotton ball, or diffuse it in water and spray it. Mice have great noses and will steer clear of anything mint scented. Wasps are very territorial creatures. They won’t build their own nest if they can see it is close to another nest. You can buy a fake wasp nest to hang in your yard to keep wasps away. Fake wasp nests kind of look like paper lanterns. The wasps will see that the spot is taken, and move on. Catnip is said to be more effective than DEET when it comes to keeping mosquitoes away. Plant catnip all around your house and those mosquitoes won’t bother you. You can even rub catnip on your skin to prevent mosquito bites. The only problem will be how to keep the cats away. Pests can be a huge annoyance during the summer. These little tips and tricks will help you and your family enjoy summer a little more. Instead of using harsh chemicals in your home, consider these 6 natural ways to keep pests away from your home.